How can I use a form to allow someone to download my Ebook? I have made a form asking for their name, email address and zip code. When they have provided that information I would like for them to download my Ebook which is in PDF form. How can I do that? Another method is actually having the PDF uploaded on your email autoresponder email alert. 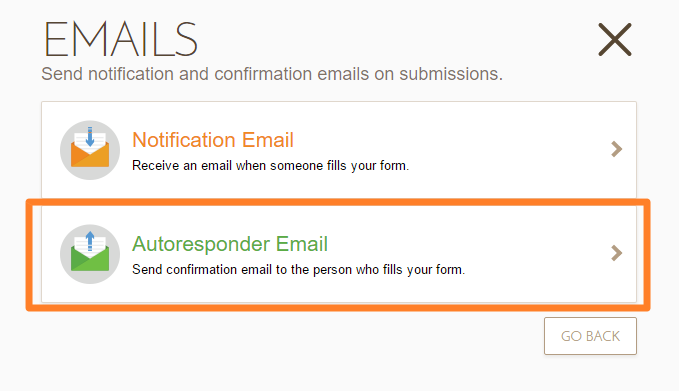 Autoresponder emails are emails sent to the person who submitted the form, after he made the submission. 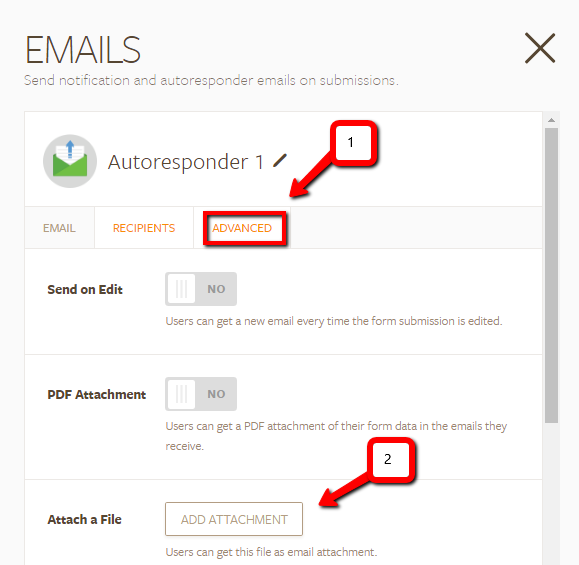 There is an advanced setting on your email alert settings to upload the PDF that you wish to send to the person. 1) Click the "Emails" button on the builder toolbar. 4. Once done, just finish the wizard and save your form. Once this is complete, your form users should be able to receive an email with the corresponding file you wish to give them after sharing them with you their information.